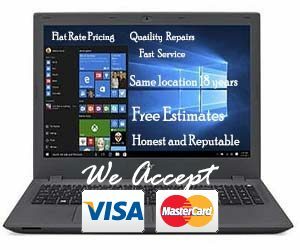 I have lots of clients who come into our shop and see several desktops in for service. Their comments are something like do they still make those? Why do some people still have that type of computer? I still have a desktop. Why? With all the other much cooler devices why have a desktop? If you just do email and play on face book anything will do for you. A tablet, laptop even your phone will be fine for you and it offers portability. Something a desktop is not designed to do. For those of us who work on a desk a DESKTOP is more suited for speed and power and hey how about that 32 inch widescreen awesome. Desktops are also great for heavy graphic games, downloading videos, and multimedia applications. Desktops are easier to upgrade, easier to repair, and usually cheaper depending on the configuration. Don’t get me wrong I love laptops and I have a nice one but If push came to shove and I only had one it would be a desktop. However everyone’s needs are different. Feel free to call or stop I would be glad to assist you in making the right choice for you.